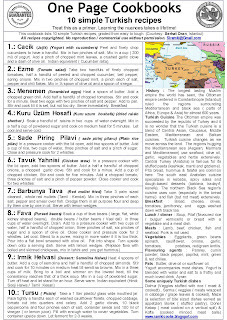 Roundup and voting 1st Mediterranean Cooking Event – Turkey » German, Queedin, Mercimek, English, Petra, From » tobias cooks! From now on you can post the German participations there and the English participation here. This is the list of the participants! Below you will find a voting form which gives you the possibility to vote your favourite dish. Rosa participated with Stuffed Quinces or Ayva Dolmasi. 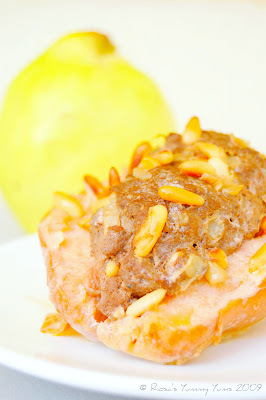 A lovely recipe that mixes quince with ground beef or lamb. Spiced with cinnamon. Robert participated with a vegetarian dish of lentils and couscous. It is called Mercimek Köftesi and just looks delicious. Mestolo cooked Imam Bayildi for the event. A dish that is as well known here in Greece. Eggplants in one of their tastiest ways. From Beirut, Jumana posted a recipe called Caramelized pumpkin with clotted cream (Kabak tatlisi). A lovely and easy to do sweet. 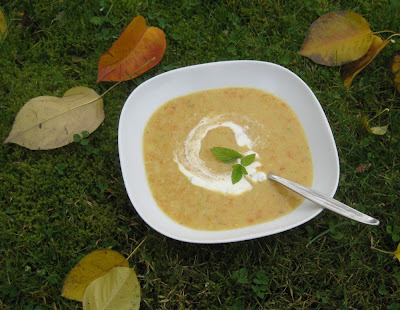 Ramki had not enough with one recipe but posted a whole recipe collection. All 10 recipes can be found here. Kiymali Ispanak was posted by Ruby. A yummy dish made form spinach, rice and ground beef. Mercimek Piyazi, which is a delicious looking lentil salad. 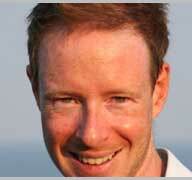 A special thank you for so much enthusiasm! A lovely dish made of white beans, called Kurufasülye, was poted by Ekrem from the noobchefs. 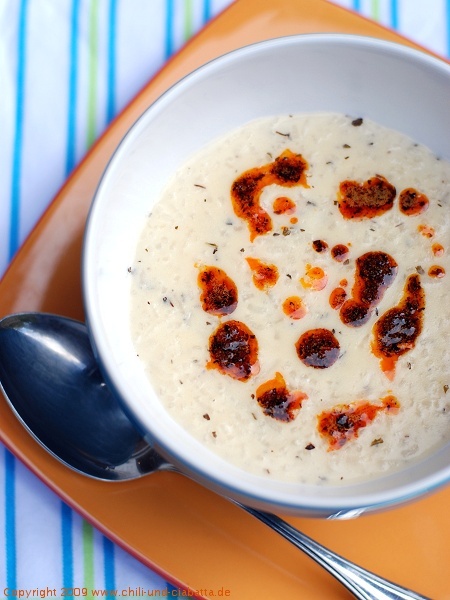 Wonderfully simple and very original dish. Soframiz is participating with Cig köfte. 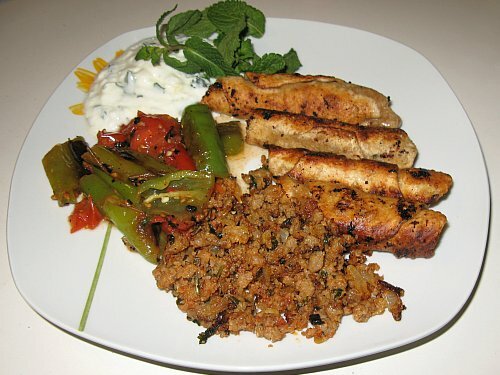 An interesting mix of Bulgur and minced meat. 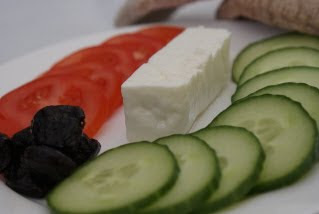 A Mezze served with Raki. Seelensturm has cooked for us in English and in German. 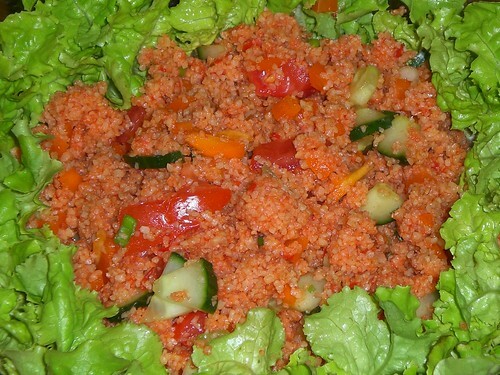 The dish is a tasty bulgur salad. Menemen is what you get in Tuky for breakfast. Minimalistic but fresh. Posted by Islandgirl. Petra is servin two dishes. A shepards salad “Hirtensalad” in combination with minced meat in a joghurt and mint sauce. A Turkish-Greek creation Susa is presenting. She combines the Ravani with caramelized pear and almond cream. For Queedin it is the first cooking event ever. We get served a warm carrot salad that Queedin learned on a trip to Tukey. Spinach cooked a Turkish way is presented by kochfun. A simple but delicious recipe for spinach lovers. Sigara Böregi and Sesami Peanuts are presented by the CorumBlog. Two lovely dishes, one with miced lamb meat and one with nuts and honey! 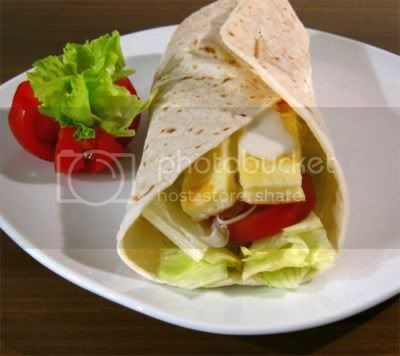 A vegetarian dish called Dürüm, combined with Haloumi Cheese was posted by Lillebi. A truly fine and tasty lentil soup presented by Barbara. You hace 3 points to give. I trust that you only vote once. You will have 14 days to place your vote here. The voting ends on the 27th of November 2009. I am glad you liked it Rosa. Thanks again. Great round-up! There are so many lovely recipes here. I look forward to participating in your next event! Die türkischen Rezepte der letzten Zeit sind ja nicht nur bei den Chili und Ciabatta-Lesern gut angekommen, sondern haben auch mir ausgesprochen gut gefallen. Deshalb geht es heute gleich weiter, schließlich war noch ein halber Blumenkohl zu verwerten…. Glad I got my computer back to see this. It all looks so good. Congrats on the events success. Stuffed Quinces looks fabulous! Rosa, go! Wonderful lineup of entries. They all look good. Rosa you have my vote! Bravo à toi Tobias pour tout ce que tu as fait et bravo à tous les participants. My vote was for Rosa’s Stuffed Quinces or Ayva Dolmasi — all the way!!! vat a fun event?? rosa my vote for ye!! keep it up! 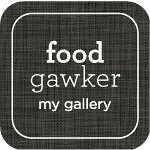 love your blog, all your recipes look so yummy, good enough to feast on them hungrily and not get fat. Amazing, very fantastic issue. I will write about it too! Log in | 77 queries. 0.505 seconds.